2016 July Archive - No Regrets! First flight of the day was a 13-minute hop from Nanaimo to Vancouver. One of the things I miss most when I’m out of the country is a good cheeseburger, so I have a tradition of eating the biggest, juiciest, tastiest burger before heading overseas. That plan was thwarted by the lack of selection in Vancouver Airport’s Terminal D. I settled for a greasy mess of a burger and an even greasier mess of poutine from Canadian fast food chain A&W. My second flight was delayed because of a problem with the PA system, despite the fact that they used the PA system to keep us updated on the problem. We left about an hour late. 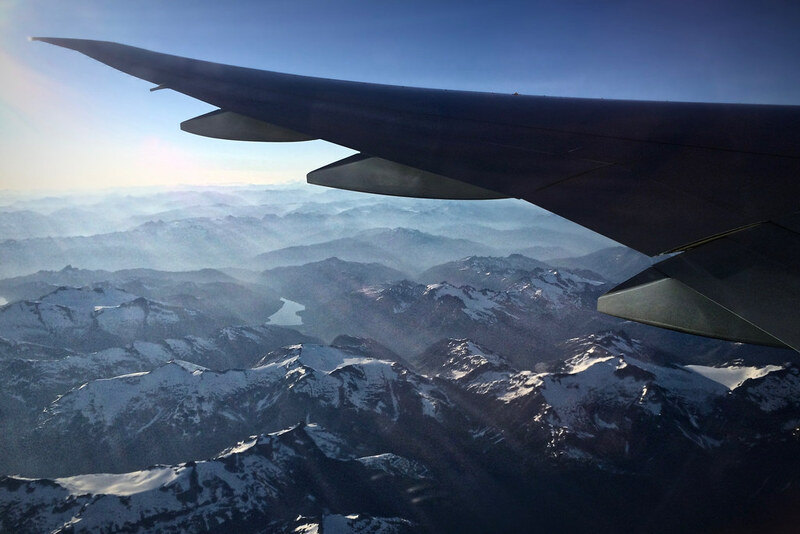 Out the window to my left, I saw the majestic and snowy Canadian Rockies. Got dropped at the gas station in Parksville and was met with hugs from my mom and sister. After a week of solo travel, it was great be with family again. 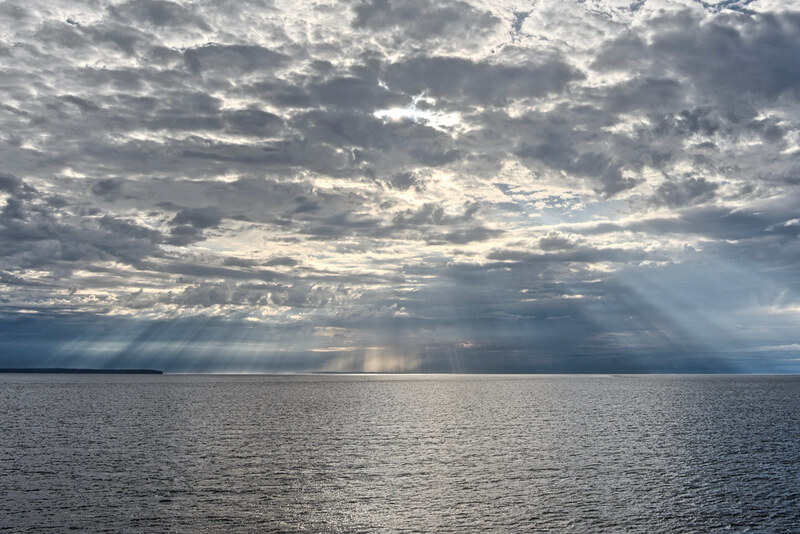 Parksville is a small town nestled between mountains and rocky beaches. It’s filled with deer, black bunnies, and old people. 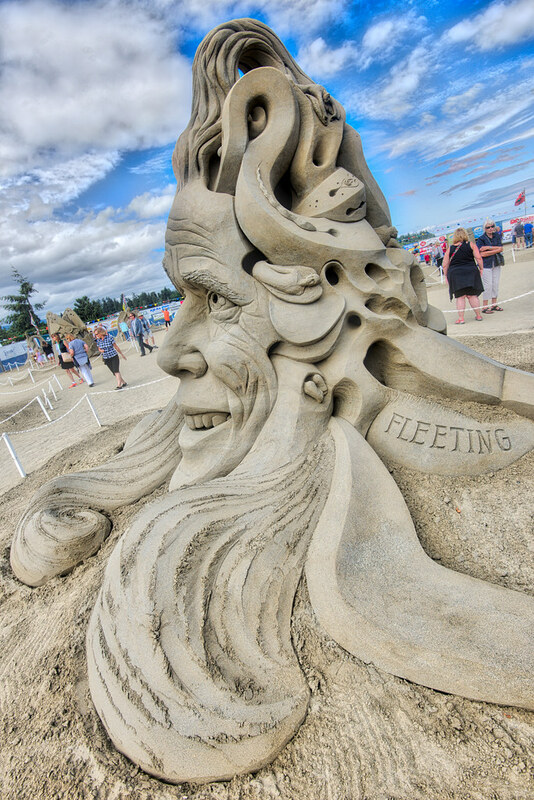 We’d spend the days seeing the local sights: an international sand castle competition, Little Mountain, Horne Lake, Qualicum Falls, and Rathtrevor Beach, which is the most massive beach I have ever seen when the tide is out. It’s a half-mile walk to the water’s edge. So it’s actually a bit of a hassle getting from Vancouver to Victoria. You’d think there would be convenient departures from Vancouver, but it takes almost two hours of trains and buses just to get to the ferry terminal south of the city. Then another hour and a half on the ferry itself. The boat is enormous, pretty much the size of a cruise ship, only a bit more industrial-looking. The ride is slow and smooth and rumbles with a vibration that feels kind of nice if you’re sitting in the right part of the boat. After zipping by the Canadian border that all the suckers in cars had to stop at, my train finally ended its journey at Vancouver’s Pacific Central Station. There’s no Uber in Vancouver, and oddly, there were no taxis waiting at the train station, so I began the long, hilly walk through the city with suitcase in tow to my hostel. I immediately set out to explore the city. First, Granville Island Public Market, a 45-second ferry ride from downtown Vancouver. 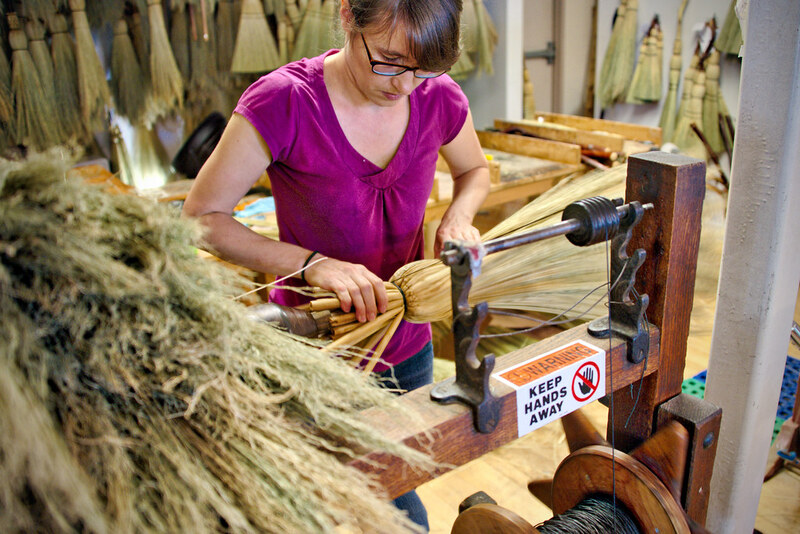 My favorite merchant was the Broom Company shop, where the Schweiger sisters make fancy, creative-looking brooms. As she used a machine to wind a new broom, one of the sisters told me that broom corn is the name of the plant harvested for its bristles. I also learned that broom bristles were traditionally “round” and unfinished, but it was in the 1850’s that it became fashionable to neatly trim them to make a flat edge. After checking into my Seattle hostel, I set out to explore the city. Compared to Portland, this is a proper city. And with the beautiful weather, friendly people, scenic skyline, I got a great vibe from Seattle from the very beginning. 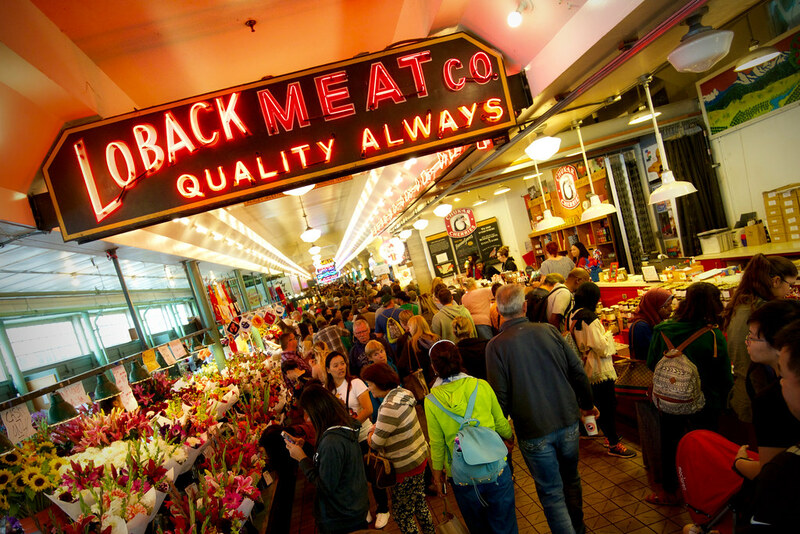 I walked around a bunch, hitting the famous Pike Place Market a few times. It’s a crowded collection of outdoor stalls and indoor shops filled with art, photography, fish, produce, flowers, and lots of other great stuff. Kind if a neat place, if not a little claustrophobic with all of the tourists cramming through there. Woke up early this morning and made one more attempt to hit Voodoo Doughnut, but again found the line around the block. At 7am. Crazy. So at night, all of the shuttered storefronts transform into bars with live music and booming nightclubs. 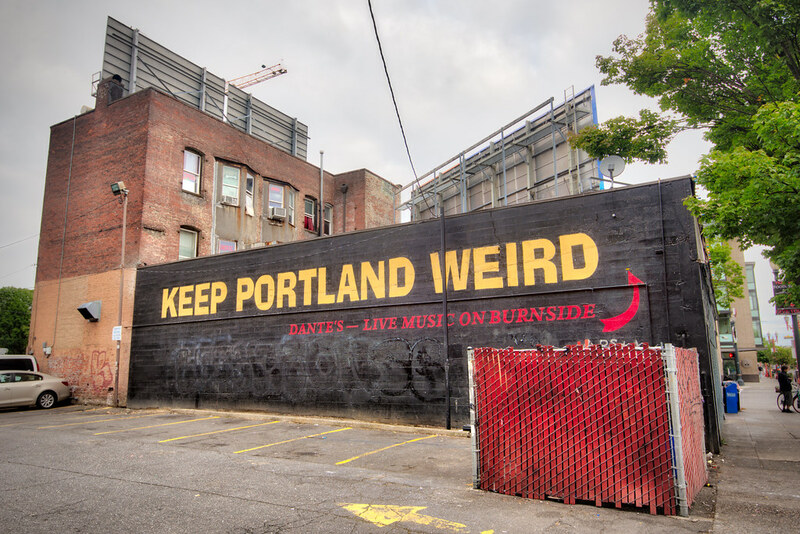 Portland’s social youth get dressed up and pour onto the streets. And the ruckus doesn’t scare away the homeless people. They hang out and watch or go to sleep right there on the sidewalk in front of the club. 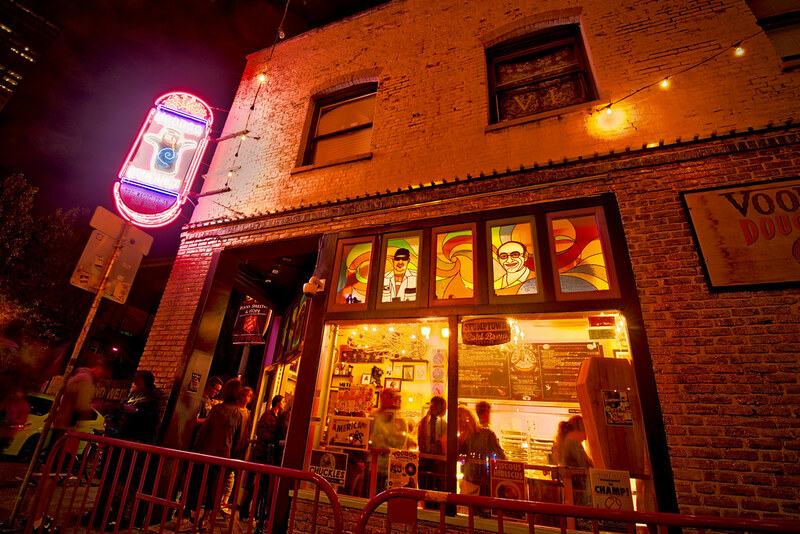 At 1am, I visited Voodoo Doughnut and found the line around the block. Are the doughnuts really that good? That last night before leaving, I didn’t go to sleep. It was a mad crush of house chores, laundry, and packing. Somehow, perhaps irresponsibly, I managed to condense two month’s worth of essentials into a single suitcase. We shall see how that works out for me. Why Not Do Them All? Over the last year, pictures in my Facebook feed of friends doing exciting things in exotic places started to get annoying. I would see them, most often on my computer at work, and reminisce about how I used to take those kinds of trips pretty regularly. But for the last three years, I’ve found myself at a job that offered the sad American standard of two weeks of paid time off a year. I’d been with the company long enough to earn the three weeks of PTO a year, but it still was not enough. After marriages and deaths and doctor appointments and a flood in your garage take chunks out of your vacation time, you’re left with a precious few days each year to actually enjoy yourself.